FAQ: Can I move the position of the tabs? It is not possible to move the position of the tabs, tabs will always be vertically aligned on the left hand side of the mega menu. The menu structure defines the tabs which are visible in the mega menu. 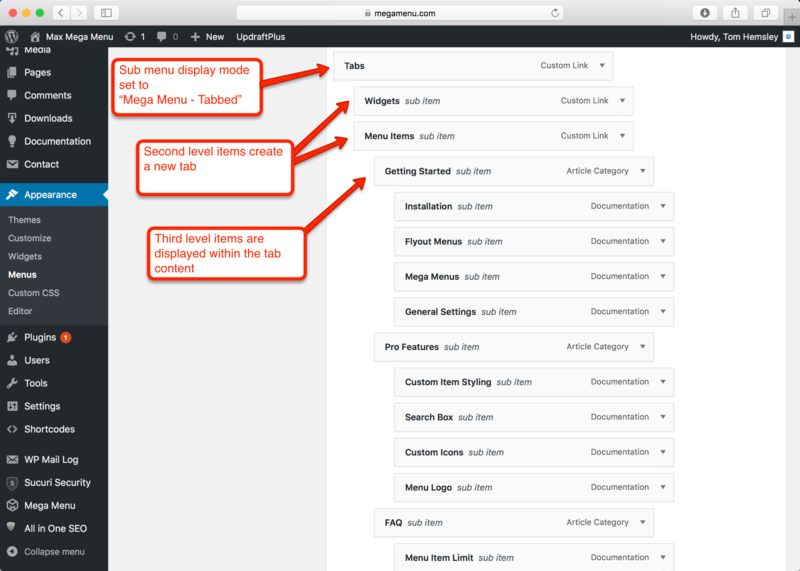 It is possible to use the Mega Menu builder to design the content of each tab. 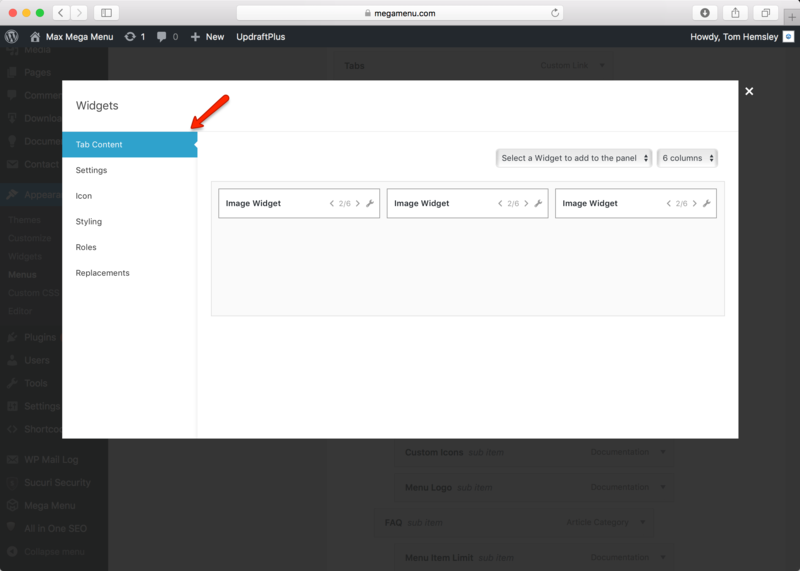 In our example, we are showing 3 image widgets within the “Widgets” tab. 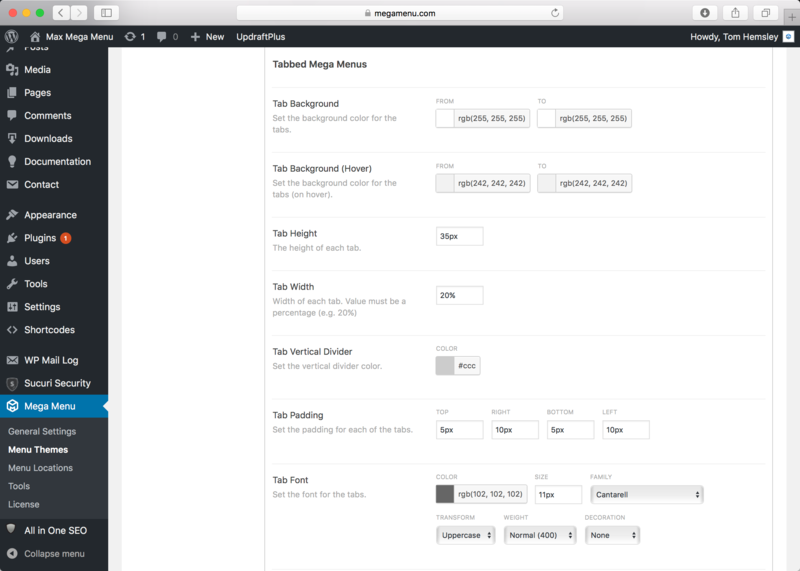 The content of the tabs inherit the styling from the general “Mega Menu” styling options in the Theme Editor.